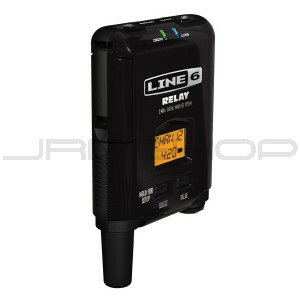 The Line 6 TBP12 Transmitter is the 12-channel beltpack transmitter for use with Line 6 Relay RX212 digital wireless receivers. The easy-to-read LCD screen displays up-to-the-minute battery life data and the active channel number. Bright LEDs offer vital battery life and audio signal data. TBP12 has Mute and Channel Select buttons for control, and features rugged metal construction. Includes protective zipper case.